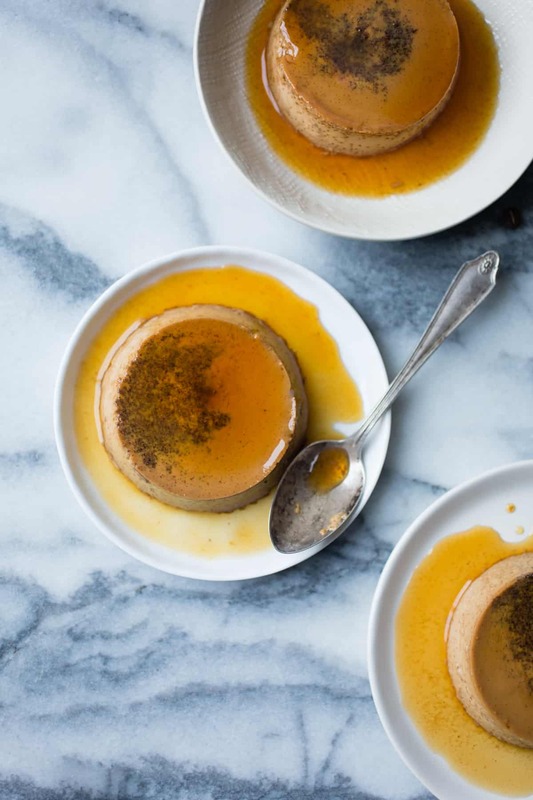 Silky custard meets Mexican coffee in these delicate flans, adapted from The New Sugar & Spice. 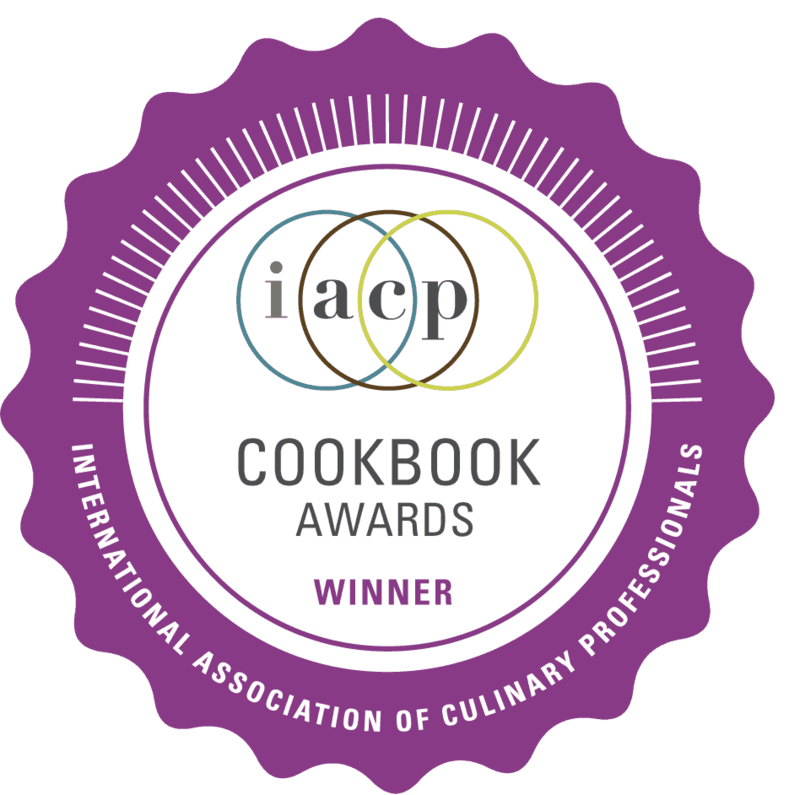 I spent way too many hours this past year studying cookbook covers (and I can’t wait to share mine here once it’s been finalized!) One that I couldn’t pry my eyes away from was Sam Seneviratne’s The New Sugar & Spice: A Recipe for Bolder Baking. 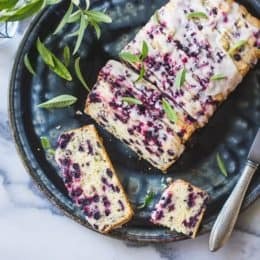 You’re likely already well-acquainted with Sam’s beautiful dessert blog Love, Cake, with its tantalizing recipes and photos, and Sam’s cheery prose. 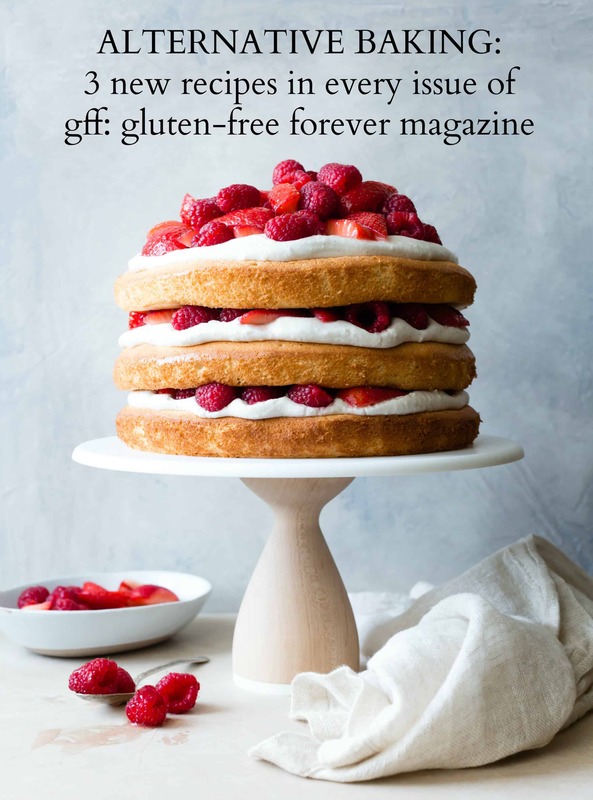 Before becoming a cookbook author, Sam was a food editor at Martha Stewart’s Everyday Food as well as Good Housekeeping and Fine Cooking, so it’s no wonder she knows her way around an eclair or two. (If you want to learn more about Sam’s journey to a career in food, listen in on her interview on The Dinner Special Podcast.) Her book boasts stunning photos shot by Erin Kunkel and styled by Sam herself, and I’m so glad to share this one with you today. 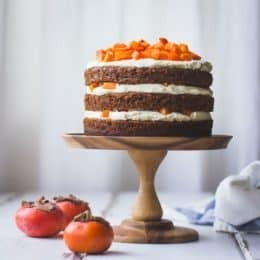 Sam’s recipes are tied together with a theme I can get behind with my newly not-so-sweet sweet tooth: desserts that go easy on the sugar and heavy on the spices. 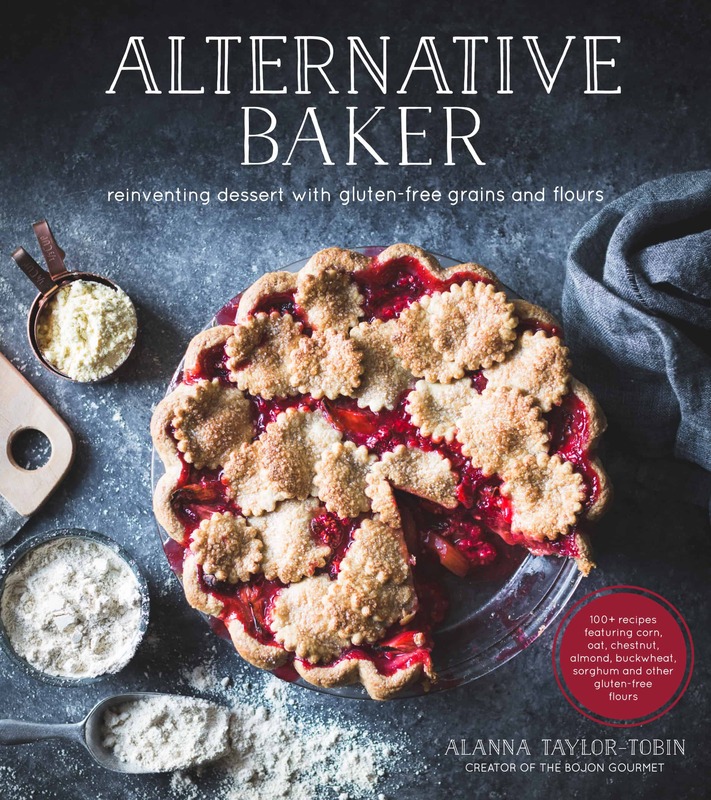 Chapters are arranged by dominant spice, and the unique offerings include Salt and Pepper Caramel Brownies, cinnamon-kissed Maple Sticky Buns, nutmeggy Roasted Peach and Buttermilk Pie, cardamom-heavy Orange Honey Baklava, and a deep, dark, extra-gingery Gingerbread, as well as many more. Many of the recipes hinge on seasonal produce, making for a vibrant book, and I would gladly make (and eat!) every one. 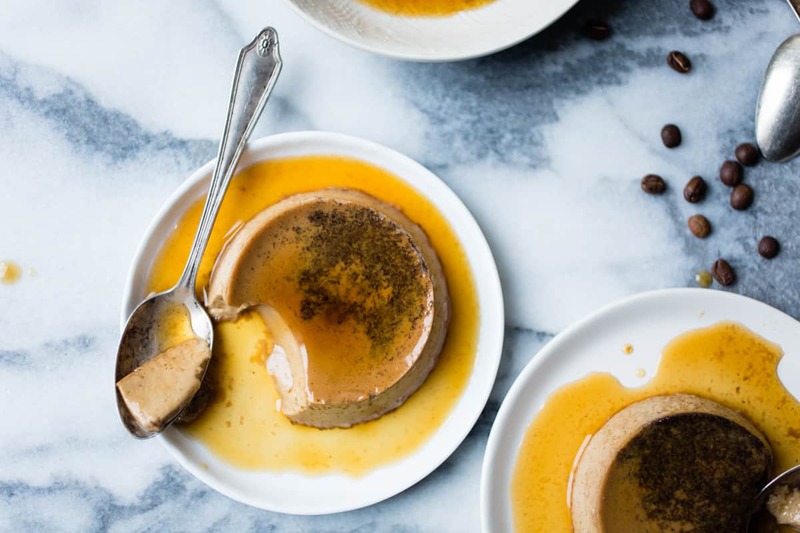 The recipe I couldn’t get out of my head was a flan flavored with the sugar jaggery, a common ingredient in Southern Asian cooking, and a hint of cinnamon. I always crave the comfort of custards in the winter, and the warm flavors of this one sounded like just the thing for the rainy season. My major qualm with most flan recipes is that they call for too many eggs as well as sweetened condensed and evaporated milk from cans. 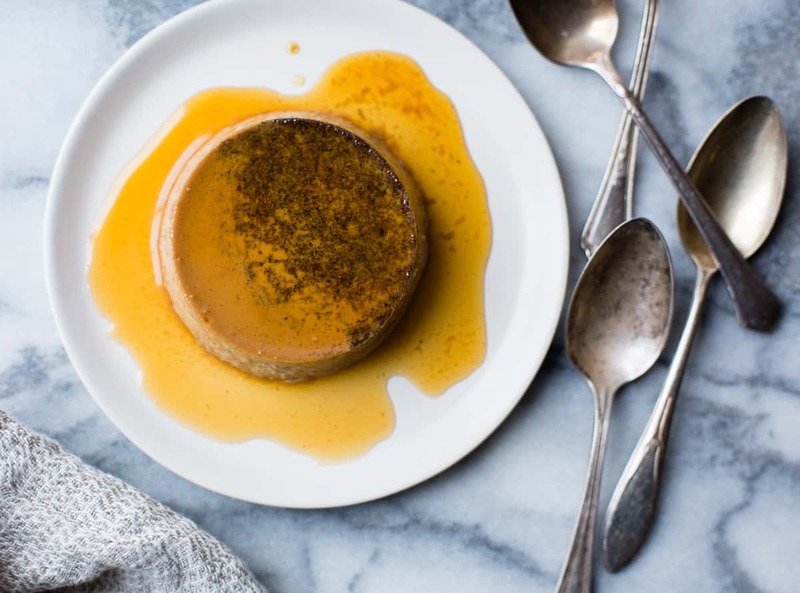 Sam’s recipe did neither, and her flan has the delicate set of a creme caramel replete with the clean taste of fresh milk and cream – just the way I always want it. 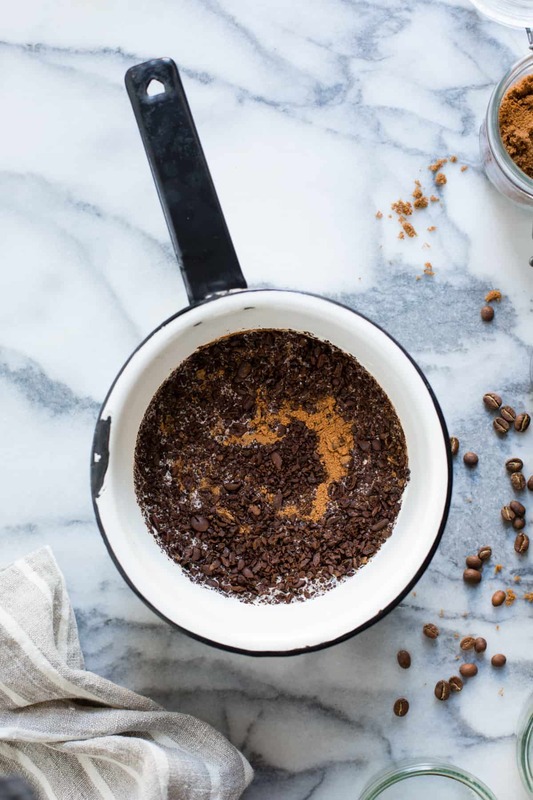 I decided to make use of my bag of muscovado sugar, and its earthy aroma made me think of coffee. I threw some crushed beans into the custard and when I tasted the finished product, I realized I’d essentially made Mexican coffee flans. A judicious amount of caramel coats the custards which by themselves are barely sweet and enhanced with some bitter notes from coffee and molasses. The cinnamon comes through in the finish with a bit of warmth and spice that will have you going back for more. 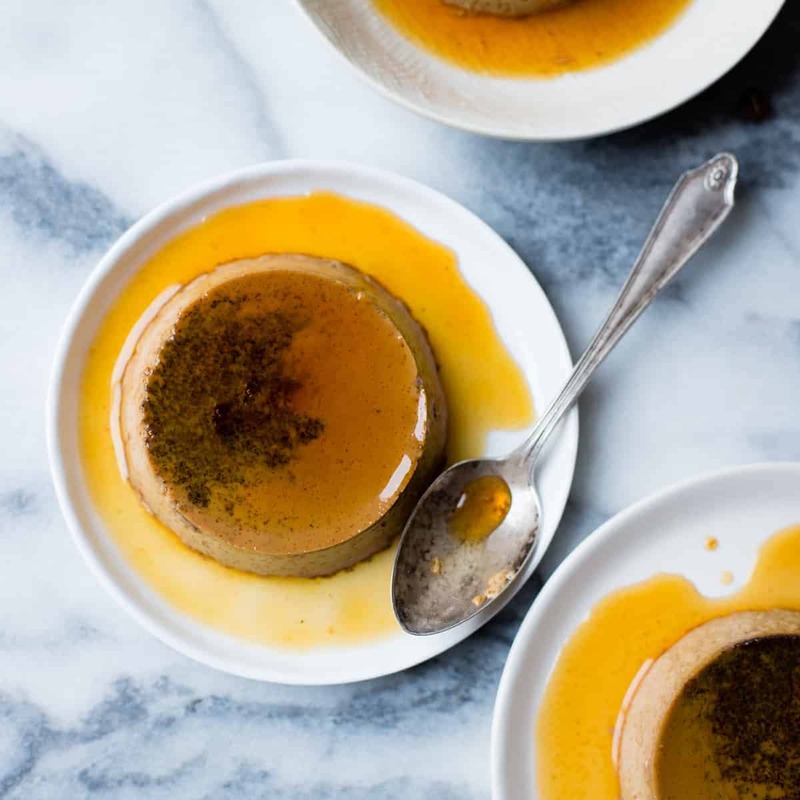 Flans and other baked custards may seem daunting, but they are actually quite simple to make, ideal as a do-ahead dessert since they need to rest in the fridge for several hours or, preferably, 1-2 days to soften the caramel to a syrup. When you’re ready to serve, all you need to do is turn them out onto a plate and watch people swoon. The only tricky parts are caramelizing the sugar, getting the sloshy custards from the counter and into the oven, and knowing how to tell when the custards are finished baking. Sam details all of these steps in an easy-to-follow way, and I’ve written the instructions in my own words below, with some additional hints. As I like to say, if you’ve got it, flan-t it. 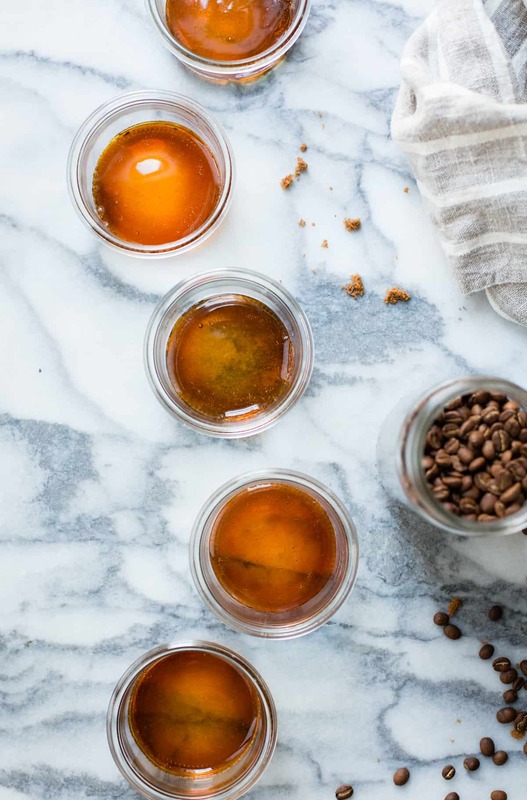 These caramel-coated Mexican coffee custards are adapted from The New Sugar & Spice: A Recipe for Bolder Baking by Samantha Seneviratne of Love, Cake. Position a rack in the center of the oven and preheat to 325ºF. Have ready 4 (8-ounce) or 5 (6-ounce) oven-proof ramekins or canning jars and a 9” square baking pan (or other baking vessel large enough to hold your ramekins). 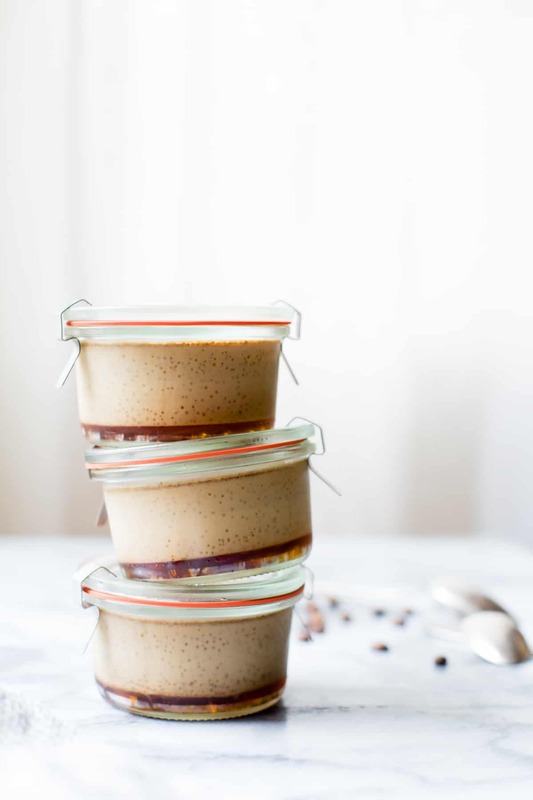 Have your ramekins warm when you add the caramel to discourage cracking; you can do this by placing them on top of the hot oven. Place the water in a medium, heavy-bottomed saucepan. Place the sugar in the center of the pot, taking care to keep the sugar crystals away from the sides of the pot. Use your fingers to moisten the sugar. Place the pot over medium heat, cover the pot, and bring to a simmer; the steam will help the sugar dissolve and not crystallize. 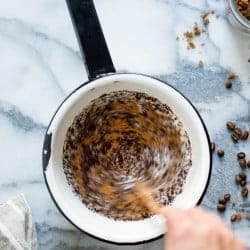 Remove the lid and continue simmering the sugar mixture until it turns a deep amber, gently tilting the pot to caramelize it evenly, and using a pastry brush dipped in water to wash down any wayward sugar crystals that creep up the sides of the pan. Immediately divide the hot caramel among the warm ramekins, and place the ramekins in the baking pan. 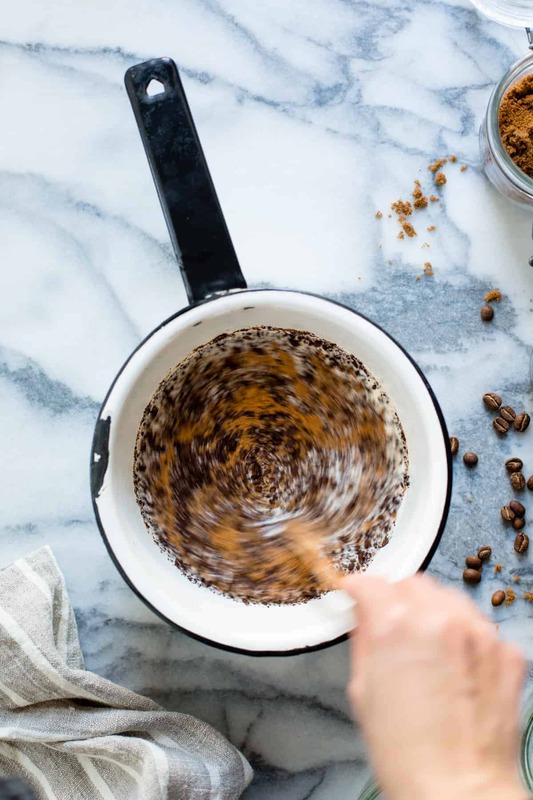 In the same saucepan (no need to wash it), combine the milk, cream, crushed coffee beans, cinnamon and salt. Place over medium heat, stirring occasionally, until hot and steamy. Remove from the heat, cover, and let steep 10-15 minutes. When the mixture has steeped, stir in the muscovado sugar. 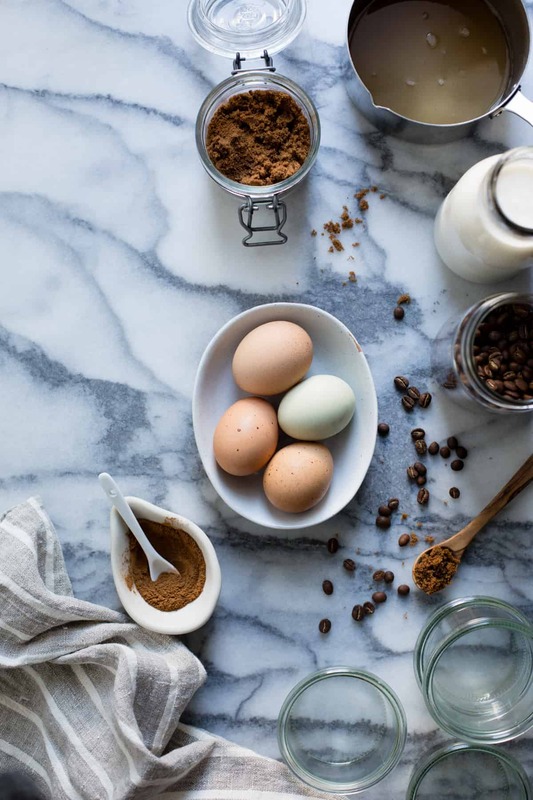 Place the eggs and yolk in a medium bowl, whisk to combine, and gradually whisk in the hot milk mixture. Strain the custard through a very fine mesh strainer and into a large measuring pitcher, pressing on the solids to extract all the good stuff. Divide the custard mixture among the ramekins. Cover the pan with a sheet of aluminum foil and pierce with several holes to allow steam to escape. Pull back a corner of the foil and fill the pan with enough boiling water to reach halfway up the ramekins. Re-cover with the foil. Very carefully, transfer the pan to the oven. Bake the flans until they wiggle like jell-o when you give the pan a shuffle, 28-35 minutes. Remove from the oven and let the flans cool slightly in the water, 30 minutes, then remove the flans from the pan and let cool to room temperature, 1 hour. Chill the flans at least 4 hours and preferably overnight, and up to 3 days. When ready to serve, use a thin knife or offset spatula to loosen the flans from the edges of the ramekins. 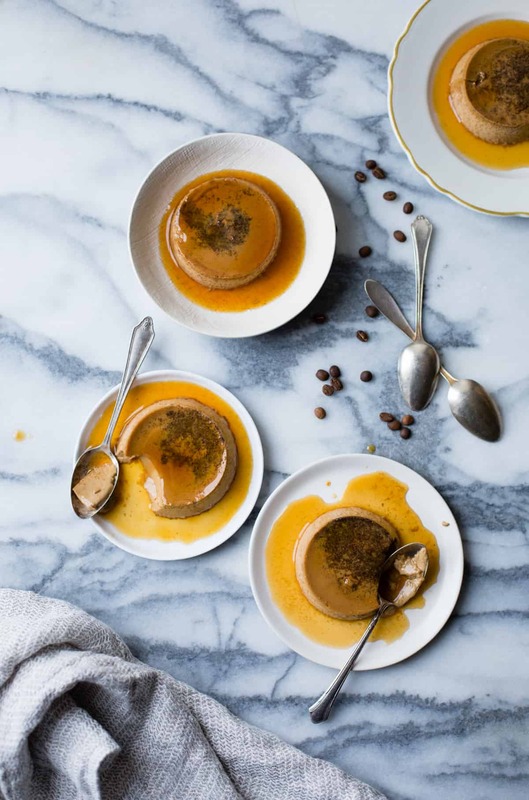 Place a plate atop a ramekin, invert, and, grasping the ramekin and plate in both hands, give the flan a few good downward shakes to release it from the ramekin. Carefully remove the ramekin and behold your flan, coated in a nap of liquid caramel gold. Repeat with the remaining flans, and serve immediately. Flans always seem like such a special dessert. This version sounds wonderful! Alanna, whenever you post something I always check! To be frank, I have to check. They are so beautiful and tempting. After I tried and blogged your creme brule, now I have to make the flan. :) You see what you do to me? 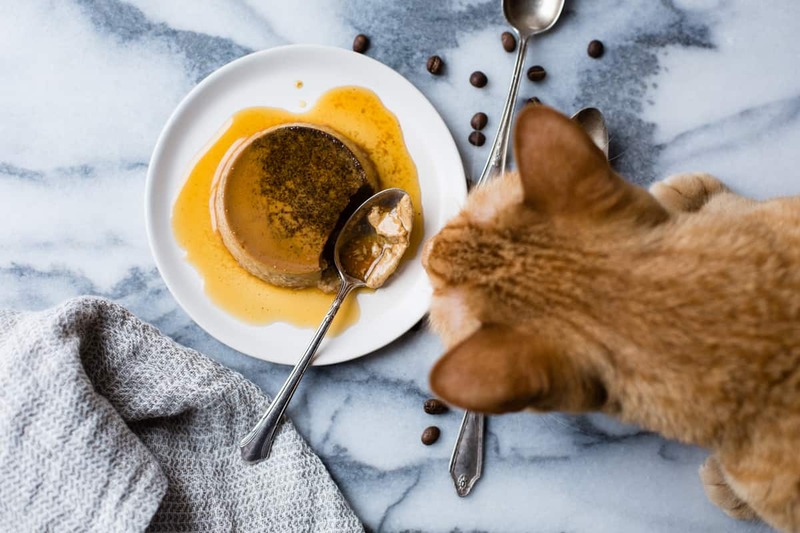 It is always this lucky cat tasting ALL your beautiful recipes. I wish I can be him!!! Just a few words to wish you very very very Happy Holidays and to thank you for all the amazing recipes and pictures you posted during this year. Thank you indeed! Fondly, your blogger friend from Buenos Aires. When are you coming to visit us in Argentina? What great flavors you have here! Flan is one of the first things I learned how to make since my mom and I are both obsessed with Spain and Spanish cuisine. She showed me how to make a bain marie and make the perfect, custardy flan I had in Spain. I really like the idea of a twist on a classic. 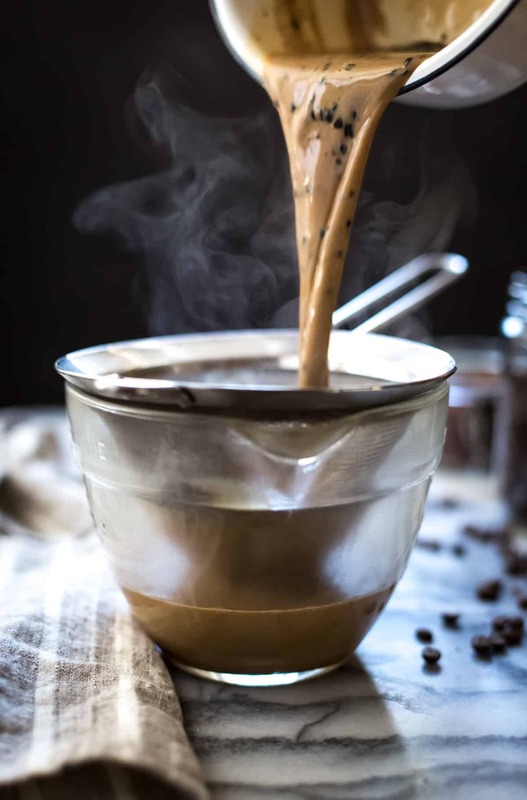 The twist here of coffee, molasses and cinnamon seems almost intuitive, except that it’s not which is what makes this recipe genius! Happy Holidays. Can’t wait to give this a try. All the best! This is a real draw to get the book, which has already been on my radar. But I’m put off by not knowing whether the book contains metric measurements. Could you tell me please whether it does, or if you added those yourself here? Thanks. (these flans look amazing!) and, I’ve been looking at your quince recipes and wondered what to do with some I had. I peeled them and cut bits off of them (they are small) and put them in a bowl (1:1) with sugar. 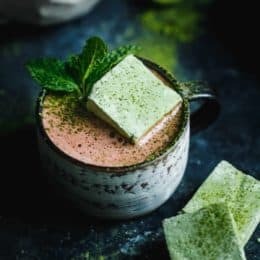 (like making first step of a shrub, or simple syrup) Letting it sit in the fridge and stirring until all the sugar dissolves (1 week or less- guessing). It’s not as LOUD as sour cherry or rhubarb syrup. Yet it might be great in a flan. I was thinking you’d be able to figure out the best seasonings to go with this pairing! ha. anyway, fun to think about. Quince: so quizzical. The flavor is like a very sharp apple. These were quinces from a yard in MA, so not sure the variety of the quince. If I had to pick between pineapple or ‘apple, pear, spice, and citrus,’ I’d say the latter. It was such an amazing smell, when fresh, that I was trying to find the best way to bring out the amazing flavor. Maybe roasting next time. trying to stay away from too much sugar. Or, in combination with the protein (in the flan) seemed like a good alternative. Thx.